Michael Lynton, CEO of Sony Entertainment, mentioned that the company is aware of the latest threat and is working with federal agencies including the FBI and other law enforcement agencies. Lynton also urged employees to contact the FBI, if they get any information relevant to the ongoing investigation. 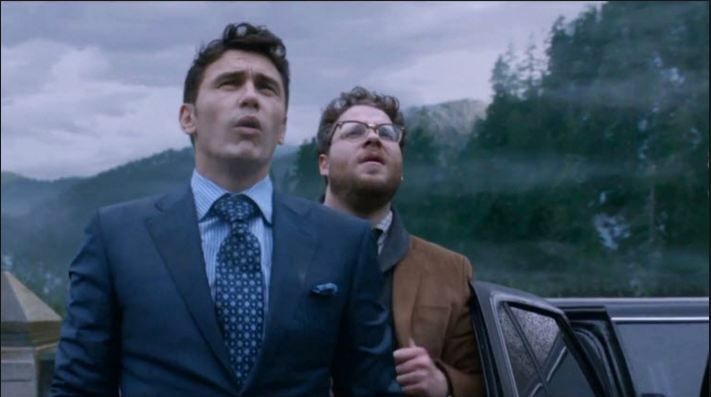 In a notable move and probably the first in recent Hollywood history, Sony Pictures announced theaters to take their own decision on showcasing ‘The Interview’ amid hacker threat. Following the latest threats of physical attacks, SPE was under pressure from cinemas located in crowded areas like malls. This is unprecedented as cinema chains work out their plans months in advance on when and where will they play a film. Such plans are usually not changed given the high marketing and overall investments. But freeing up cinemas to exercise their own decisions just nine days before a release date, underscores the stakes in the ongoing attacks. Carmike Cinemas, operator of 247 theaters in the U.S., cancelled the showcasing of ‘The Interview’ and many other theater chains and studios are expected to follow the decision. However, the Department of Homeland Security hasn’t yet found any credible intelligence indicating an active plot against theaters. However, it is analyzing messages from the hackers group. The film premiered in Los Angeles last week and is scheduled for Thursday at Manhattan’s Landmark Sunshine in New York. The New York Police Department, together with the FBI, will beef up security measures at the Manhattan premiere. Rogen and Franco, lead stars of the film, have pulled out of all media appearances, including Rogen’s appearance on Late Night With Seth Meyers, amid the security concerns.